Reduce Added Sugar in Your Diet! We have a sweet tooth before we have teeth! It is safe to say that we are born with a sweet tooth. Mothers milk is even sweeter than cows milk and if you have ever been in charge of feeding an infant, you know that they usually prefer sweeter fruits to blander vegetables and meats. For some of us, this congenital sweet tooth becomes a life-long obsession that can adversely affect our health and well-being. The problem is not so much about consuming foods that are naturally sweet, but with all the added sugar that has become such an integral part of our food supply. Are you average or above-average? The American Heart Association has determined that, on average, we consume almost a half a cup of added sugar every day. That’s more than 167 cups of added sugar a year. This doesn’t count the natural sugars that are found in fruits, vegetables, grains, milk and legumes, but only the sugar we add ourselves or that is added in the processing of foods. These added sugars include white table sugar, brown sugar, honey, syrups, and any form of sugar that does not exist naturally in foods. Click here for a list of names for sugar on food labels. Too much sugar leads to disease. The reason the amount of sugar in your diet matters, is because, excessive consumption of sugar, not only increases your risk of tooth decay and obesity, but may also contribute to a higher risk of heart disease. A recent study showed that there is a link between sugar consumption and blood fats. Those who consume at least 25 percent of their calories in the form of sugar, are more likely to have higher triglyceride levels and lower HDL cholesterol (the good kind) levels, both factors that can lead to heart disease. Interesting Fact for Reduce Added Sugar: Many years ago I heard a talk given by Nobel Laureate, Linus Pauling, in which he said that excessive sugar consumption was much more of a factor leading to heart disease and cancer than the fat we eat. 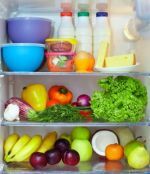 This was not a popular concept at the time, when low-fat diets were all the rage, but more recent studies have shown that there is real truth in Dr. Pauling’s assertion. With Type II Diabetes reaching epidemic proportions in the Western world, consumption of added sugars becomes an issue both before and after diagnosis. Although nutritionists can’t agree on whether sugar consumption actually causes diabetes, there is no question that eating too much sugar affects your insulin response and can lead to insulin resistance. Of course, once you are diagnosed with diabetes, you will need to watch your sugar consumption very carefully, and, in fact, probably the best approach for full-blown diabetics, is to virtually eliminate added sugars. Empty calories replace foods you need. Aside from the fact that sugar consumption may contribute to the risk for disease, another problem with consuming too many sugary foods is that they will replace the nutrient-dense foods that your body needs to be healthy. You can only consume so many calories in a given day, and it is important to make those calories count. After all, wellness is a balancing act, where you supply your body with the nutrients it needs, and your body responds by functioning properly, fighting disease and giving you the energy and mental acuity to live well. If you don’t keep your end of the bargain by supplying the nutrients your body needs, you will find yourself permanently on the downward stroke of the health and wellness seesaw. Sugar begets craving for sugar. Here is a secret about sugar that you may not know. The more you eat sugary foods, the more you will crave them, and the higher tolerance you will have for ultra-sweet desserts. For example, if you eliminate all sugary foods for a week or two, you will find that foods that you never thought of as sweet will taste sweeter and very sweet foods may even taste cloying. It’s a matter of retraining your taste buds to discriminate between the natural sweetness in real foods, as opposed to the excessive sweetness of sugary desserts, candy and soft drinks. You will also find that your desire for desserts, in general, may diminish. Interesting Fact for Reduce Added Sugar: There was a study done by Princeton University that suggested that sugar is addictive in the same way that cocaine and heroin are. The changes in your brain chemistry when you are addicted to sugar, cause you to crave it and to feel better when you have it, in much the same way as a cocaine addict can't do without his "fix." 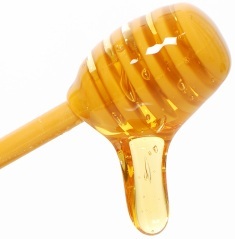 What about “natural sweeteners” like honey? Although using natural sweeteners like honey and pure maple syrup may be better than white sugar or High Fructose Corn Syrup, since you are getting some nutritional value along with the sweetening, these products will still spike your blood sugar, add calories and encourage your sweet tooth. It also may depend on the way the honey was produced and processed. Raw honey produced by bees allowed to do what they do naturally is probably better than some of the products that are being offered that are the result of feeding bees sugar water and processing the honey to a point where it does not have the qualities of natural honey. This also applies to agave syrup, which has recently gained popularity as a white sugar replacement. While it’s not a bad idea to replace white sugar with more nutritive sweeteners, you still may need to cut down on the total amount of added sugar you are consuming. Also, if you are sensitive, any added sugars, even more nutritive ones, may be a bad idea if they crank up your craving and cause you to eat too much. A word about artificial sweeteners. Since the days of saccharine recalls, the track record of artificial sweeteners is not good. While those with diabetes may feel the need to include artificially sweetened products in their diets, in general, I recommend that you avoid these chemical additives. We have learned the hard way that, just because a chemical is approved for consumption, does not make it really safe to eat in the long term. If you find you can’t live without these artificial sweeteners, please limit your use of them as much as you can. Too much sugar, we know is bad, too much artificial sweetener, isn’t any better and may be worse. However, I am not suggesting that you have to eliminate added sugar altogether to be healthy. That would probably be too drastic a step for most of us. What you can do is cut back or limit the amount of added sugar in your diet. -Replace soft drinks with water or unsweetened teas. There are some great fruity teas on the market if you’re not ready for the plainer versions. In other words, don’t drink your sugar; in liquid form, it goes down fast and you can consume a lot of it without realizing it. -Get creative with ideas for healthier desserts with little or no added sugar. For example, you can make a dessert by taking plain yogurt, adding unsweetened fruit and sprinkling it with sliced almonds. -Limit the number of times you have sweet desserts each week, and when you do choose to have dessert, eat a smaller portion, slowly savoring each bite. -Resist the office doughnuts and sugary offerings from the vending machine by keeping a supply of healthy snacks, such as fruit, nuts, cheese, and veggies on hand. -Learn to read labels and recognize sugar by all its names. If a product has sugar as the first ingredient or has several types of sugar, it is a dessert and should be treated as such. -Try eating hot cereals such as oatmeal without added sugar. You can add some berries or chopped apple for sweetness. If you must add sugar, try a small bit of real maple syrup; then, at least you will get some nutrient minerals with the sweetness. -Have fresh fruit or even sweet potato for dessert and begin to appreciate the natural sweetness in these foods. Some people will finish a meal with a cup of fruit-flavored tea or a peppermint, to replace the inclination for dessert. -Be aware that most yogurts have a lot of sugar added and are really a dessert. Try choosing plain yogurts and adding your own fresh fruit for sweetness. Stonyfield has a very lightly sweetened vanilla Greek yogurt that may work for you, if you just can’t take the plain versions. -Switch to whole grain breads and pasta, keeping in mind that your body processes the simple starches in white flour products into sugar very quickly. -If you can do it, eliminate all added sugar for a week or two, in order to retrain your palate to appreciate the natural sweetness in real foods. -Eat a few pieces of dried fruit, such as dates or apricots instead of candy. This will satisfy your sweet tooth with a whole food that has vitamins and minerals and not just empty calories. -Cut the amount of sugar you add in half. If you absolutely must have sugar in your coffee, tea, or on your cereal or grapefruit, try cutting the amount in half. Even that much of a change can make a difference in your overall sugar consumption. -Give Stevia a try. It is an herb that has long been used in South America and is many times sweeter than sugar, so that a little goes a long way without the effect on blood sugar. Make sure you are using the whole leaf versions and not the processed extracts of Stevia that have become popular. -If you decide to indulge in sweets occasionally, do it consciously and with panache! Don’t waste the moment on inferior desserts and don’t feel guilty. If it isn’t top-shelf and you can’t enjoy it, you may as well skip it! Many years ago, I read a true story written by a survivor of World War II who had come to the U.S. after the war was over. When she was taken to the supermarket, she was amazed at all the fresh fruits that were available. I specifically remember that she wanted to buy a banana so that she could enjoy the wonderful sweetness that she hadn’t experienced in all the years of deprivation during the war. What is interesting to me is that she didn’t go for the cookies or brownies or chocolate cake or ice cream, but for real food, particularly the naturally sweet fruits that she hadn’t enjoyed in a very long time. There is a lesson for all of us in this story. Learn to appreciate all of the wonderful, naturally sweet foods that abound in this country. They are health giving and not health destroying. You can change your thinking, then your habits and ultimately, your palate to appreciate food without added sugar. It may take some time, but the reward of feeling well and staying healthy is better than any dessert you can name! If you have a good idea for how to reduce added sugar and make healthy eating a priority, send us an e-mail. We'd love to hear from you! Missed previous Small Step for a Large Reward? Click on the links below to catch up. Click here to go from Reduce Added Sugar page to Diabetes Facts page.